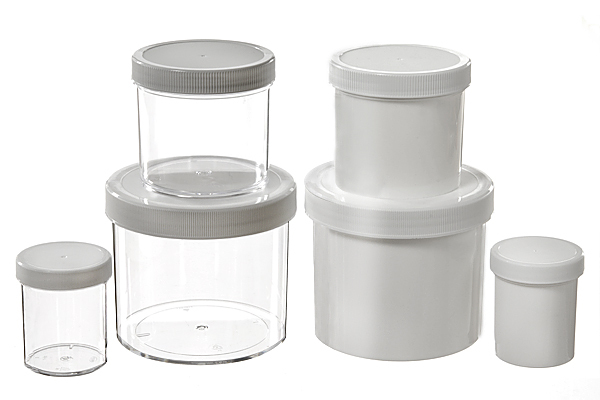 Polystyrene and Polypropylene jar are ideal for solids, creams and dry products. Choose 1/4 oz. through 32 oz. in crack-resistant white polypropylene or clear polystyrene. White plastic caps are included. Please note: No warranty is made as to the performance, or suitability for any specific product. We suggest ordering a sample to test product compatibility.